No finishes yet. 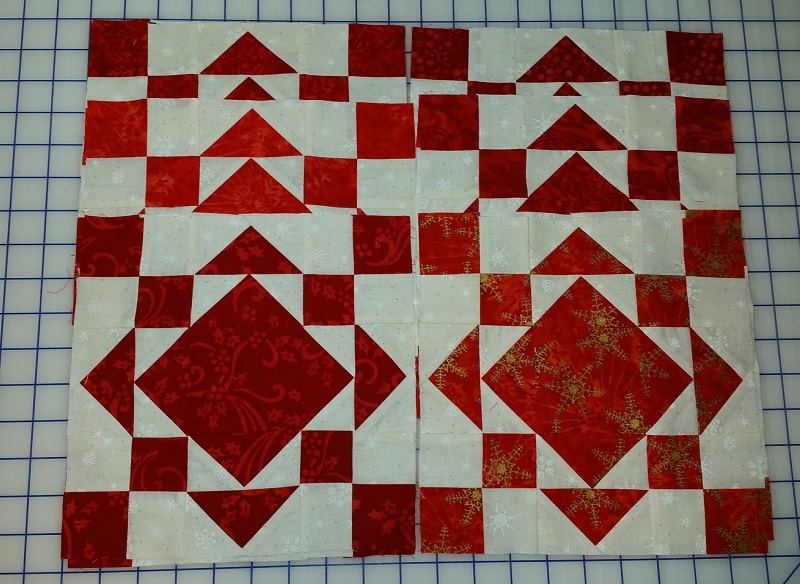 Still working on the feathered star, but making progress. A trip to Rosie's with Sandi, yielded the fabrics below for On Ringo Lake, Bonnie Hunter's Mystery quilt. 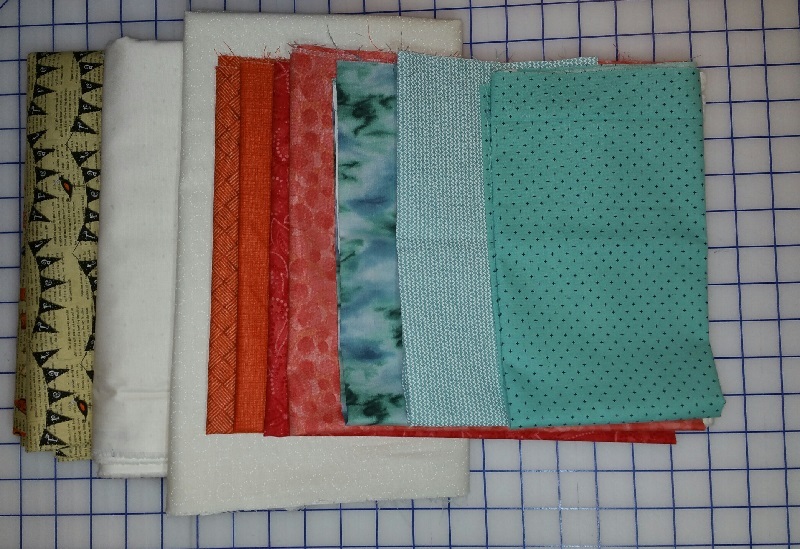 The first clue is in progress- nine patches, and second clue will await the new ruler that Sandi picked up for me. Looking forward to using it, as it looks like it will save a step in putting together the flying geese units that are up next. 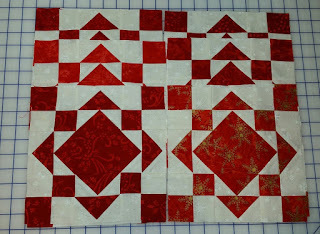 A finish of sorts this week, the blocks for our guild's mystery quilt were completed. I will be awaiting the next clue at our January meeting. Nothing used this week, but hope to make a dent soon.